The Canavese countryside in Piedmont and the Rovigo region in Veneto were famous for the production of hand-made brooms until the ‘50s. In these areas the farmers used milo (Sorghum vulgare) as chicken feed. The rest of the plant, dried and cleaned, was used to make brooms. Every year, at Summer’s end, the farmers were used to prepare the plants by eliminating impurities, and dividing them in 2-inch bundles before hanging them to dry. Then, during the long days at home in the Winter, they used to craft brooms in their spare time. 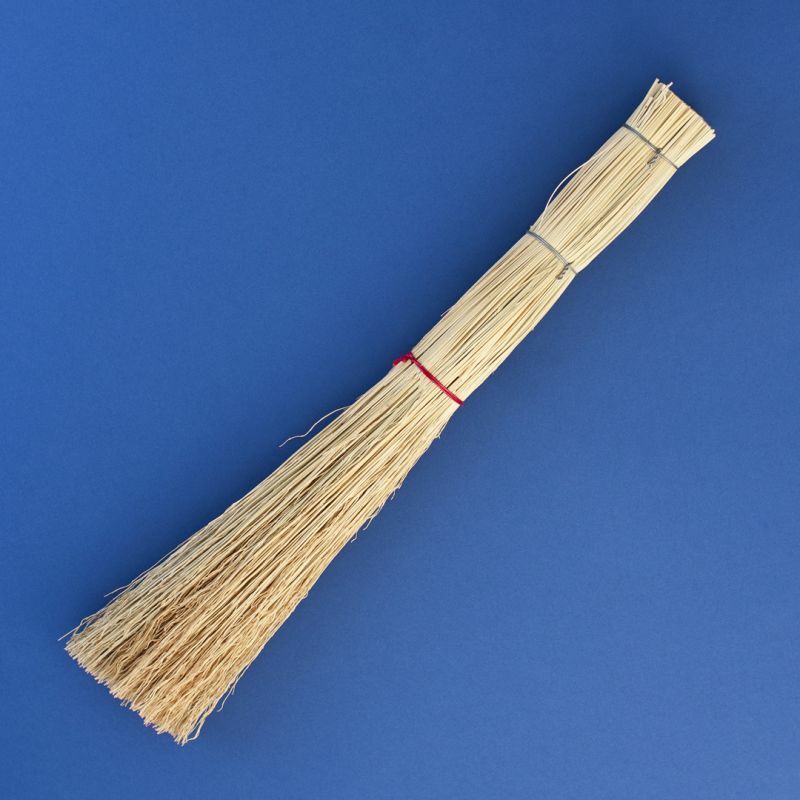 The simplest brooms were made with just one bundle. The more complex ones could reach three. The binding was done with green willow branches, which are very flexible and resistant, rather than rope, which frays easily. Nowadays willow binding has disappeared: the few artisans that still craft besoms prefer to use steel wire instead.